The Best Carpet Cleaning in Carlsbad Ca Ever!!! 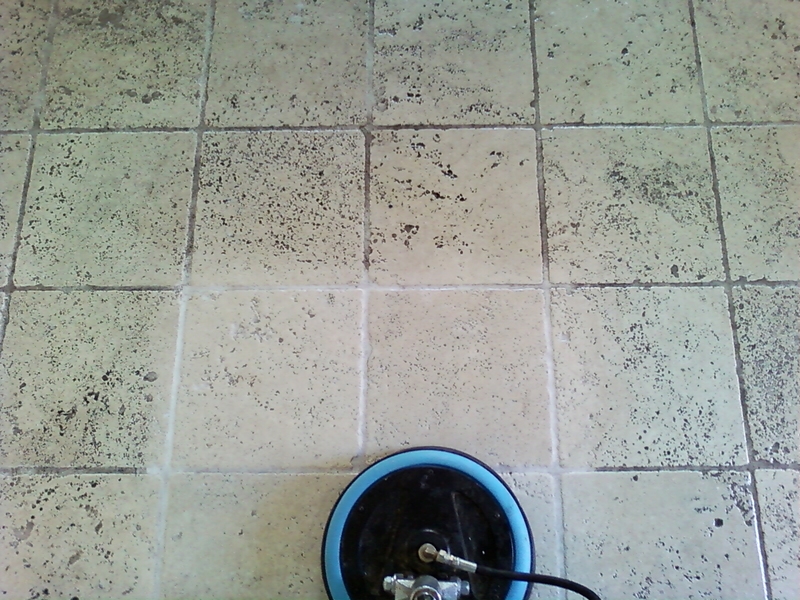 The Best Tile Cleaning In Carlsbad and San Diego Area . We Guarantee to remove all dirt from your grout and tile or stone floors. Tile and stone is found in many places inside our homes and outside as well. Tile Flooring, Tile On walls or backsplashes , Countertops , showers , Patio’s and more . Maintaining tile in your home is always a chore. What cleaning chemicals are safe and effective. How do I remove the soap scum or hard water spots. The grout is dirty and impossible to rinse out. Which Sealer is best for tile or stone ? In today’s age people often try DIY tile cleaning.This results in poor cleaning results, wasted time and wasted money. That being said, hiring a stone cleaning service can prove to be helpful in more than one way. When your true Grout color is unrecognizable , dirty, stained, discolored , it may take professional grade products to get them back to their original condition. Deep Cleaning your Travertine or grout is just not possible without a expert and expert steam cleaning machines.Save the Hassle and call us to restore your tile and stone floors. Ceramic tile , Porcelain tile , Glazed tile , Marble Stone , Travertine Stone , Granite Stone ,Terrazzo , Limestone , and more. Those looking to hire tile cleaning professionals throughout the Carlsbad CA area should focus on finding a service that is both affordable and effective. Tile cleaning day-to-day can be tough, and might not be offering you the results that you are hoping for. Commercial cleaners available at grocery stores are not as effective as professional grade products and don’t have tile cleaning attachments. With commercial cleaners, you may not be able to get the best product for your tile. Floor cleaning takes a lot of time and can be hard on your wrists and knees. A quick vacuum may remove dirt but it may ignore small particles and grime that can get trapped in grooves and ground in, leading to spots that will eventually need to be scrubbed. As dirt gets grounded in you may find that it becomes trapped in corners, pits or other areas you simply cannot reach effectively. Professional-grade material is specifically designed to tackle tile stains that are usually missed with everyday maintenance. If there is a spot on your tile that you simply cannot get rid of, you’ll be relieved to know that there are plenty of options that a professional can recommend for getting it off and ensuring that it will not resurface, after a few months. This is especially helpful for those of you that have porous tile installed in your home. Grout sealing and Stone Sealing can be added to any order to help protect against staining and spills. A professional cleaning service can recommend products that are ideal for the type of tile and grout you have installed. Not only will this help get tiles looking great, but also it reduces the risk that tiles will be damaged. High traffic areas or tiles that are constantly exposed to staining agents, such as kitchen counters, can be treated with grout sealer. This can help prevent unsightly stains that damage tiles. A stone sealer will not only brighten tiles but it can help seal out mildew that can be dangerous to the health of your family. If you have trouble with moisture in your home this can be an essential step to making sure that your family remains protected from health hazards of any kind. If you have been struggling to manage your stone floors, a quick clean by a professional can get them back to their original beauty. It’s all about the process and chemicals and signing up with a professional tile cleaning company ensures that you have the best of both. We offer Restorative Tile Cleaning with machine scrubbing of grout and steam cleaning to remove ALL dirt. Carpet Cleaning Carlsbad Ca © 2018. All Rights Reserved.